Hollycraft brooch that is unusual. It is metal, and the back is black, but more like enamel than Japaned. 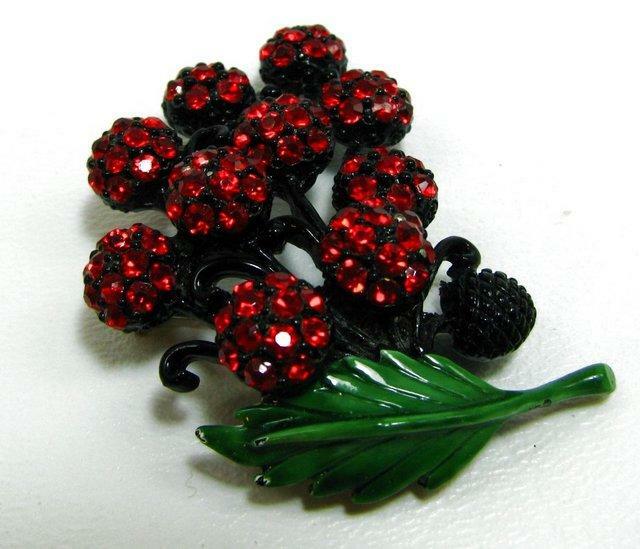 The green leaf is perfect and the red rhinestones are all there and sparkly.